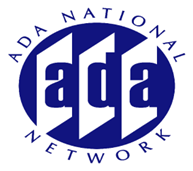 Debbie Cook is the Director of Washington Assistive Technology Alliance, is the Technical Assistance Coordinator for ACCESSIT (National Center on Accessible Information Technology in Education), and is a consultant on technology accessibility issues for Department of services for the Blind. Ms. Cook is nationally recognized for her expertise and leadership regarding a wide range of IT, policy development and service delivery issues including: accessible design of hardware, software and web-based technologies; telecommunications product design and service delivery; laws, regulations and best practices regarding access to IT and accommodation of people with disabilities in education and employment; and standards for provision of assistive technology services. Ms. Cook is a regular contributor to AccessWorld (published by the American foundation for the Blind) and has conducted several research projects for the Foundation, is a consultant to the National councilon Disability regarding technology policy issues, and is past-Chair of the Information Access Committee for the American council of the blind. 02/17/2004 - Evaluating SoftWare Accessibility: Is Anything Truly Accessible?